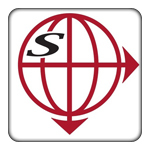 Southeastern Aluminum is a leading manufacturer of Bath Enclosures and Shower Doors for the Residential and Commercial building industry, servicing the United States, Canada, Central and South America, the Caribbean and the Middle East from manufacturing facilities in Jacksonville, Florida; Indianapolis, Indiana; and Phoenix, Arizona. With over 35 years of combined experience in the industry, Global Brokers specializes in providing companies with the products they need to separate themselves from the competition. Global Brokers industrial grade cerium oxide powder for use in architectural, commercial and residential glazing applications. "Global Brokers put together bulk loads of products that have saved us a bundle. Great service and real value." © 2016 Global Brokers Inc.